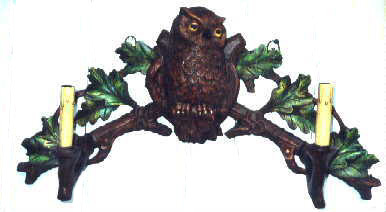 Description: 1 owl sitting on a branch with leaves. Branches contain two lights. Takes 60 watt bulbs and has drip candle covers. Resin &steel. Shades extra.